12th annual event finds a new home at The Magnolia and releases a preview of features and shorts (DALLAS, April 2018; source: CultureHype)​ – Local film nonprofit ​Dallas Film Society (DFS)​ is proud to announce its 12t​h​ annual film festival, returning to Dallas for a new eight-day event from ​Thursday, May 3​ to Thursday, May 10​. This year, for the first time ever, all competition feature and short film screenings at the Dallas International Film Festival (DIFF) ​will take place at ​The Magnolia ​in Uptown’s​ West Village​ shopping center. In honor of its 12t​ h​ anniversary, Dallas Film is announcing its first 12 films, representing some of the best in the art of filmmaking. The Dallas Film Society expects close to 100,000 visitors will enjoy DIFF activations at West Village. The ​2018 Dallas International Film Festival (DIFF) ​will screen over 110 films from 25 countries and will include the 12 films listed below and a series of Special Events including a 25t​h​ anniversary event for Steven Spielberg's three-time Academy Award®​-winning blockbuster ​Jurassic Park​ which will screen ​at Studio Movie Grill – Spring Valley (13933 N. Central Expy @ Spring Valley), ​Sunday, May 6​. Opening Night Celebration​ at ​The Magnolia​ on ​Thursday, May 3​ will be followed by a celebration in the streets of West Village. More details to be announced. Puppet Master: The Littlest Reich ​(Texas Premiere) - A reimagining of the Charles Band classic, from Dallas-Based, Cinestate. This Horror Comedy will headline DIFF’s “Almost Midnight” category. To purchase passes for the ​2018 Dallas International Film Festival (DIFF)​, please click ​here​. All-Access ​Star Passes​ can be purchased online in advance for ​$500​ and include access to Screenings, Galas, Special Events and the Filmmakers Lounge for all 8 days. Individual tickets start at ​$12​ and discounted passes for Students and Senior Citizens can be purchased for ​$80​. Dallas Film Society is a 501(c) 3 nonprofit organization dedicated to supporting film, filmmakers and film education through our annual events, the Dallas International Film Festival and The Art of Film, through membership events and screenings, and through our educational programs: Summer Film Camp, the High School Roundtables and High School Day, and The Veterans Institute for Film & Media. Dallas Film provides leadership in screen education and the recognition and celebration of excellence in the art of film, television and digital media. 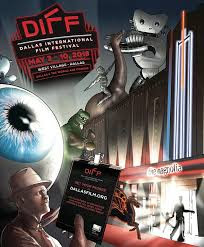 For more information, please visit ​www.dallasfilm.org​.